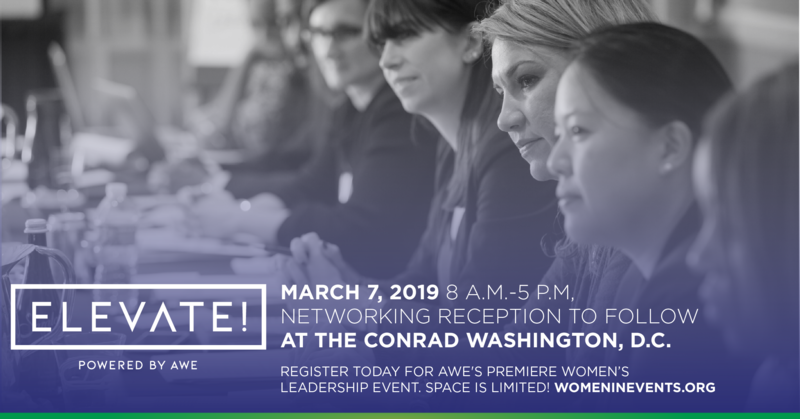 The Association for Women in Events (AWE) is an international non-profit organization dedicated to the professional advancement of women in all facets of the events industry. It’s time to bring our community together, face-to-face, to see what incredible ideas might eventuate! Held the day before International Women's Day, ELEVATE! will galvanize some of the best minds. This is the premier women’s leadership event. Be part of it with us on March 7, 2019! AWE brings the movement to Washington, D.C. for a full-day event at the NEW Conrad Washington D.C. With world-class speakers like Michelle Obama’s head speechwriter, you’ll leave with a renewed sense of purpose and innovative ideas, in addition to unique opportunities to meet fellow changemakers in business, events and politics. Let's change the dialogue around how women show up and do business, together.